The “holiday” season is upon us. I put quotation marks around the word holiday, for, in this politically correct world, one is encouraged to sterilize most personal affiliations. Which, to my crone nature, is ridiculous. Being part of the 50s baby boom, I haven’t known anything BUT Christmas. While I have come to respect and enjoy Hanukah and St. Nick’s Day, I believe the best way to celebrate life in all it’s rainbow colors is to erase the squeaky clean “holiday” and celebrate each and every tradition that comes our way. Did some Christmas shopping the other eve. Between empty shelves and too many shoppers, I stopped and asked myself what I was doing. Gift giving is alive and well this time of year, but I wondered why there is only one day of the year (besides birthdays) to spend your money on gifts that, for the most part, wind up in toy boxes or in drawers, only to be brought out now and then as a reminder of the person who bought it for you out of love (or desperation). I know I sound like Scrooge’s sister, and I’m not. I might not have a lot of money, but I love buying things for those I love. (Is that redundant?) I embrace the sacredness of the season, the meaning behind the glitter. I enjoy the stories of Hanukah along with the mysticism of the Winter Solstice. This season, this day, is a wonderful stew made of all cultures, all sorts of traditions. It is a season of giving, of love, of modest means and decadent frivolity. So what does this have to do with the word holiday? Mostly that life is too short not to make every day a holiday. Christmas, Hanukah, Easter, all have sacred meanings behind the fluff. Halloween and Thanksgiving also have messages older than candy and turkey. I believe we should never forget where the fluff came from. How much of a connection to the religious significance behind the “holiday” is up to you. A choral concert in a church is a marvelous experience, whether you are Catholic, Lutheran, or Pagan. Giving gifts on St. Nick’s Day can make someone happy just as much as Christmas presents would. Celebrating the Winter Solstice brings the hope of birth and renewal to the soul just as much as any other. Everything from the lighting of the Menorah to a baby in a manger to twinkling lights on a tree make the season, the holiday, meaningful. I love giving presents. I tend to give them all year long. I don’t need a special day to celebrate my life or the lives of those I’ve loved. You shouldn’t either. But remember what real presents are. Give a lesson in cooking or color a picture together. 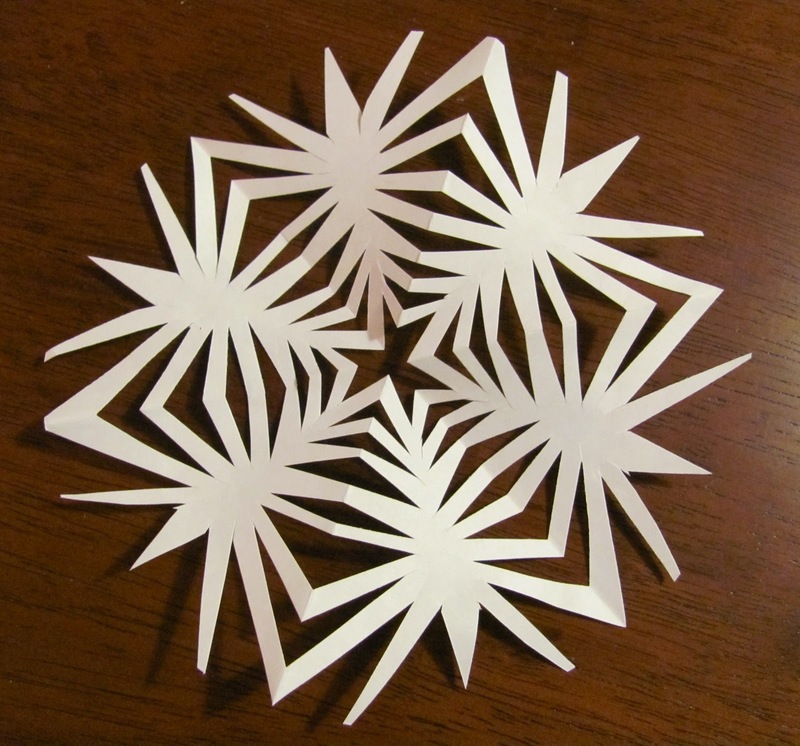 Show someone how to make paper snowflakes or sit down and write a story with them. Those things will last longer in their hearts than the latest zapparoonie or blinkalot. Now — where did I put my crayons? Giving makes me feel wonderful. It releases endorphins which make me feel good all over. Interesting enough, I don’t get quite the same high when I receive gifts. Not that I’m ungrateful. It’s just that I like seeing others’ faces light up with delight. What a fun, thoughtful post!!!! I’m a year-round gifter too! I hope you celebrate every minute of this beautiful season like a child.